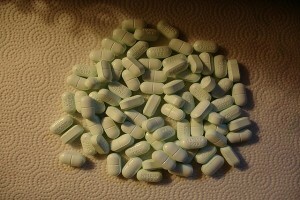 Home » blog » How Does Hollywood Portray Addiction? How Does Hollywood Portray Addiction? If you’re not familiar with drug addiction, some of your knowledge may have come from how the movie industry portrays addiction and alcoholism. What most people fail to realize is that the fictitious Hollywood portrayals of drug addiction sometimes are sensationalized in order to make a point. Because of this, they may not be doing a proper job of representing the pitiful and demoralizing actions that addiction brings people to do. They are typically far from accurate, and do not showcase what addiction is truly like. If you have a loved one who is exhibiting signs of addiction, it’s time to understand the facts and help them get the assistance they need. One of the most inaccurate depictions of addiction in movies is how they show a person simply “getting over” their addiction. Where in one scene they are in rehab and in the next they seem to be completely fine and don’t have any desire to take drugs again. Any patient of a Malibu recovery center such as Serenity Malibu Rehab will tell you that dealing with addiction in a healthy manner takes a lot of work and trust in the process of rehabilitation. The road to recovery is long, but when you break the cycle of addiction you are able to see things clearly about how your life has changed for the better as a result of your sobriety. This is why the portrayal of addiction in the movie industry can be misleading. The idea of a ‘quick fix’ for your addiction is simply not an option if you are truly interested in breaking free from addiction. So far, one of the more accurate depictions of drug addiction to prescription drugs was from the TV series “House” where the main character was shown to be addicted to Vicodin. The most interesting aspect of this portrayal of prescription drug abuse was how the main character failed to realize that his habit was seriously affecting his life. Dr. House was taking the pills in order to deal with the pain of a leg injury, yet developed not only a physical dependency on the pills but a psychological one as well. This is a situation that many long-term users of prescription pain medication find them in. It shows how people of all walks of life are affected by addiction and there is no definitive stereotype that addiction fits. Based on everything that has been presented, you can see that you should not take what you see on TV or in the movies to heart, especially when it comes to dealing with a loved one who has a drug addiction, or who is exhibiting the signs of developing one. For more information or to seek help for a loved one, don’t hesitate to contact us today.